[5 mins. 30 secs.] 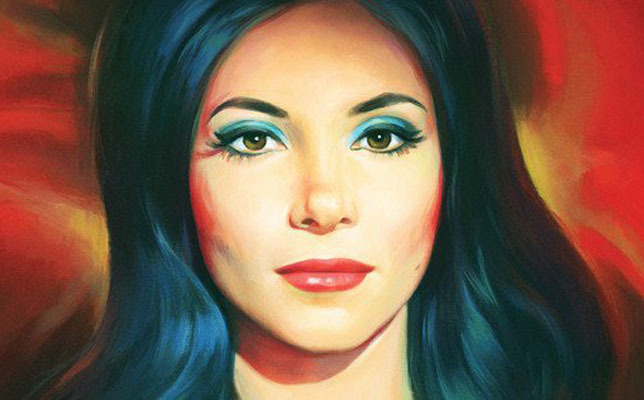 Anna Biller ("Viva"), director of "The Love Witch" is up first. The film opens in Brooklyn today at the Alamo Drafthouse and at the Nitehawk Cinema and is about Elaine (Samantha Robinson), a beautiful young witch who is determined to find a man to love her. In her gothic Victorian apartment she makes spells and potions, then picks up men and seduces them. The film is being distributed by Oscilloscope Labs. [54 mins. 50 secs.] After that, filmmaker Alex Lehmann discusses his two new films, both executive produced by the Duplass Brothers. The first is a narrative film called "Blue Jay", a comedy romance starring Mark Duplass and Sarah Paulson and is being distributed by The Orchard. We also discuss Alex's new documentary, "Asperger's Are Us" about a Boston-based comedy group of the same title. Both films are currently available for streaming on iTunes & other digital platforms. [1 hr. 35 mins. 10 secs.] Last up, is a discussion about a new documentary omnibus film called "True New York". The film comprises of 5 award-winning short documentary films and the amazing characters who call New York City home. Tied together with stunning New York City timescape footage, the shorts include: "C-Rock" (directed by Jordan Roth), "Taxi Garage" (Joshua Z Weinstein), "One Track Mind" (Jeremy Workman), "A Son's Sacrifice" (Yoni Brook), and "Black Cherokee" (Sam Cullman and Benjamin Rosen). In this segment I am joined by Jeremy Workman, Sam Cullman & Ben Rosen. True New York is distributed by First Run Features and available on DVD or streaming on iTunes.